I don’t normally start thinking about Christmas shopping until December but judging from some comments I’ve seen on Facebook, some of you are a lot more organised than I am! I have just announced my workshop dates for the beginning of 2014. I have lovely gift vouchers available which would make the perfect present for someone special. What better gift than that of a brand new hobby that fits in with their families? 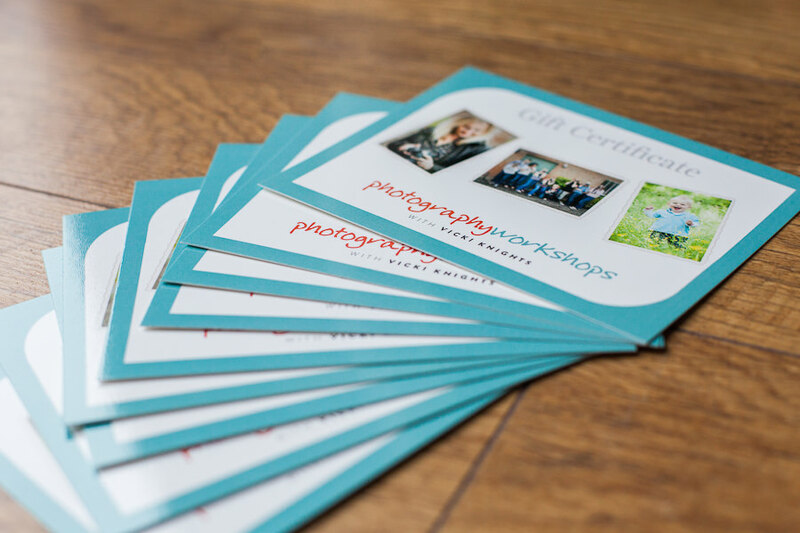 So if you know someone who has a fancy camera that they have no idea how to use and you know they would love to take better photos of their family, then one of my Photography for Parents workshops would be the perfect gift for them. Or perhaps your other half has already attended my beginners workshop and hasn’t stopped snapping away since? If they are keen to learn even more then my Photography for Parents – the next buy amoxicillin next day delivery stage workshop would be great for them. Or do you know someone who makes gorgeous products (such as cakes, jewellery, craft) but can’t take photos of them to do them justice? If so then my Photography for creative businesses workshop could be just the thing they need. So how do you purchase a gift voucher? Book the lucky person onto one of my workshops by clicking on the ‘book here’ links below the date you would like, then please email me at vicki@vickiknights.co.uk to let me know the workshop is a gift and I’ll send you a gift boxed voucher out in the post. If you aren’t sure what date they would like, drop me an email and I can send you a gift voucher and they can book the date with me once they have received it.